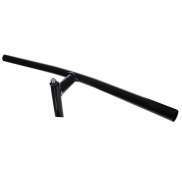 The largest and most affordable Online Children's Handlebars Shop! Do you want to buy Children´s Handlebars online? 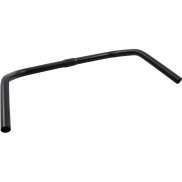 Hollandbikeshop.com has the Children's Bicycle Handlebars you're looking for. The handlebars are the part of the bicycle that give you grip and control. That's why the handlebars should be sturdy and comfortable. And of course the right children's bike handles or grips will help. Their bright colors can make the children's bicycle look even more fun and attractive. At Hollandbikeshop.com you can find a wide choice of Children's Bicycle Handlebars by brands like Alpina, Cortina and Kawasaki. In our wide Children's Handlebar range on Hollandbikeshop.com you can find the Handlebars for the Children's Bicycle in various colors, sizes and models, suitable for various kinds of bicycles. So you'll surely find the Children's Handlebars you're looking for! 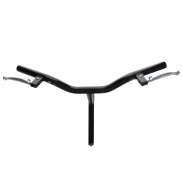 Hollandbikeshop.com is dealer of Children's Bicycle Handlebars and has a large and affordable range. We also often have Handlebars for the Children's Bicycle on sale or in our outlet, so keep an eye on our sale button. 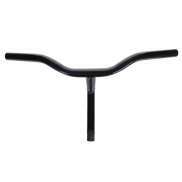 The largest and most affordable online Children's Handlebars shop!